Assigned seating isn't a wedding day must, but in order to ensure your reception runs like clockwork, assigned seating is highly recommended. If you go the assigned seating route your guests won't second guess where to sit, and all your tables will be filled. There are of plenty of ways to let your guests know where they are seated and we've seen them all, but we'd have to say the most budget-friendly option is a seating chart. Why? You only have to have one item printed and it literally takes seconds to set up. 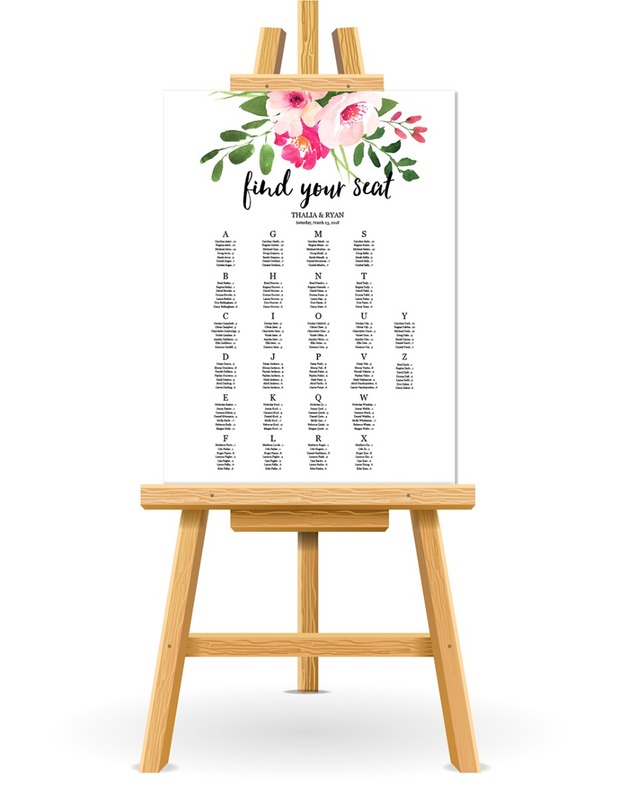 So, we are excited to introduce our FREE Wedding Seating Chart Printable! All you need to do is go in and start filling in your guests' names. Here's how to start. Count all of your RSVPs and then determine how many tables/table sizes you need. After determining the number of guests and tables, start putting all your guests in ABC order with the table after their name. It's much more time efficient to list alphabetically so your guests can easily spot their name. Now you can fill out our Free Wedding Seating Chart Printable. Once you've filled out the poster hit the download button and save it to your desktop. You can take it to your local printer or have it printed here on Zazzle. Simply upload and print.